I’m healing. I can tell, even though I’m hurting today. I think I’ve probably overdone it with work this week. I’ve been careful, but it’s still so much more moving than I have been doing – even with my walks. I actually took a pain pill tonight. (Plus, I have cramps, so that figured in as well). I hate to “waste” them, but I’m hoping to feel better tomorrow since I can work in my room again. So, the glue is coming off. I’m nervous because they still look like cuts. See? This is actually a few days ago. The swelling is less now. 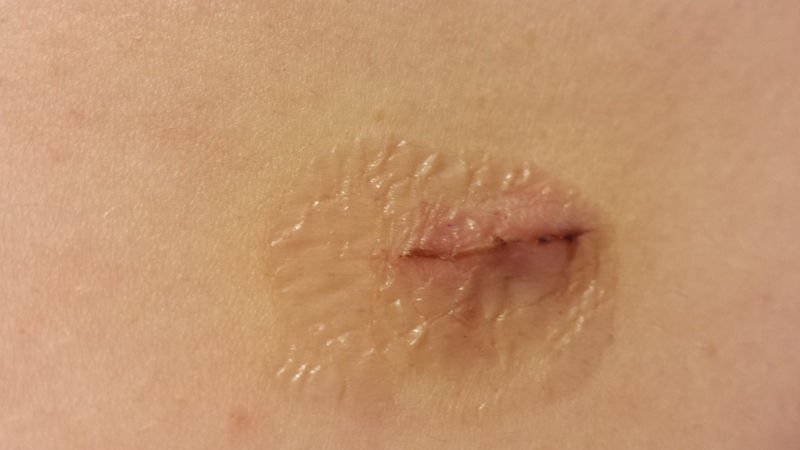 So, I’m wondering: is the scab actually still attached? Is it still a cut? Or is it just trapped under the glue? Guess I’ll find out soon!